Eyman claims mounting legal expenses have forced him to seek protection and possible reorganization of his debts under Chapter 11. Tim Eyman filed for bankruptcy Wednesday, adding a new wrinkle to the anti-tax crusader’s legal saga. Eyman and Citizen Solutions, a signature-gathering outfit, have been fighting a lawsuit brought last year by state Attorney General Bob Ferguson. In an email Eyman sent to supporters and journalists, he said the lawsuit has taxed his finances and family to the breaking point. “While the AG has had unlimited resources to assign teams of taxpayer-financed lawyers to bury me and my attorneys in an endless maze of motions and procedures, my legal costs have had to be funded privately (from my family’s limited resources and from financial support from folks like you),” Eyman wrote. Eyman filed under Chapter 11 in U.S. Bankruptcy Court for the Western District of Washington in an attempt to protect his financial assets while defending himself against the state. According to the filing, Eyman has a bit more than $2 million in assets against liabilities of nearly $3.2 million. The state of Washington is cited as being owed nearly all of the $3,177,000. Other creditors include the Seattle law firm Klinedinst, which is owed $77,000 in legal fees. The attorney general’s lawsuit against Eyman had been set for Nov. 26, but a couple months ago was pushed back to January 2020. In an emailed statement Ferguson said Eyman’s legal and financial problems are self-inflicted. “The public should know that in addition to being held in contempt of court, Mr. Eyman was scheduled to sit for a deposition in this case in less than two weeks and has informed the court that he plans to invoke his Fifth Amendment right to avoid self-incrimination, something he has already done in his written discovery responses,” Ferguson said. The bankruptcy filing revealed Eyman has been making $42,573.84 a month since May, owns his home in Mukilteo and three cars; a 2013 Ford Explorer, 2013 Mercedes C300 and a Chrysler Touring 200 from 2012. The documents indicate he has $198,000 in his checking account and says he is owed $500,000 he loaned to his effort to place a $30 car-tab initiative on the upcoming ballot. Eyman’s filing provides a year-to-date average for his monthly income, which consists of $13,461.44 in gifts from supporters for his legal defense; $21,695.97 from supporters and family and $2,154.55 from relatives. Ferguson also noted that the financial gifts he has received could be a violation of campaign finance laws. 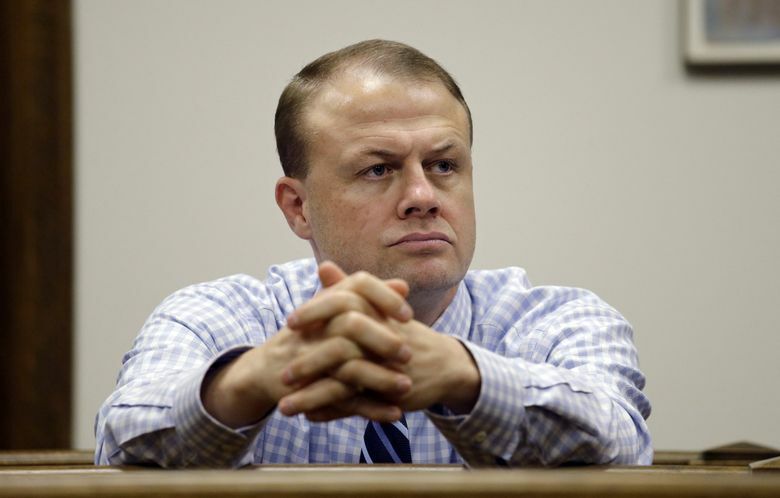 “We note Mr. Eyman claims he has received more than $20,000 per month in gifts. We look forward to presenting our case to the court that these gifts are really political contributions, solicited for a political purpose, that should have been reported to the public. We have asked the court’s permission to amend our complaint to include additional alleged violations of Washington’s campaign finance laws,” he said. The state’s lawsuit, filed in Thurston County, has its origins in a complaint to the Public Disclosure Commission in 2015 regarding Eyman’s allegedly improper use of money raised for one initiative but spent on another initiative effort in 2012. The lawsuit also accused Eyman of spending money raised for the 2012 initiatives, I-1185 and I-517, on personal expenses and his family. In September, the judge in that case found Eyman in contempt of court for failing to turn over records, and increased fines for Eyman and Citizen Solutions to $500 a day each. The attorney general’s office estimates Eyman and Citizen Solutions have racked up a combined penalty of $182,500. I-1185 sought to reinstate a law requiring a two-thirds vote of the Legislature to raise taxes. It passed that year, but the state Supreme Court struck it down. I-517, which voters did not approve, was geared toward boosting the power of initiative groups and would have given campaigns six additional months to collect petition signatures. The AG’s lawsuit stems from a 2015 complaint investigation by the state Public Disclosure Commission that alleged Eyman improperly used money raised for Initiative 1185 to promote Initiative 517. In a September filing in Thurston County Superior Court, Ferguson wrote that Eyman had withheld discoverable financial records for 14 months after being given many chances to voluntarily produce the records. “Instead of compliance, he chose to resist all the State’s efforts to secure those record as well as orders to produce them,” Ferguson wrote. In his email, Eyman said that the trial extension to 2020 was “devastating” because of his mounting legal fees, which totaled $80,000 last month, leaving him with no other option than bankruptcy. Eyman also noted that the strain of the legal proceedings has broken his marriage of 25 years and led to a divorce from his wife. The Eymans have three children ranging in age from 10 to 20. An earlier version of this story misstated Eyman’s monthly income since May.